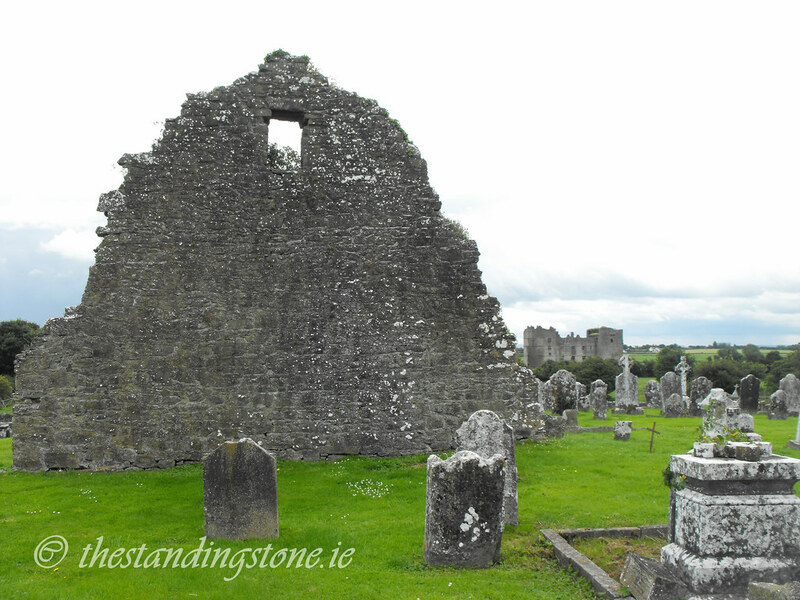 The Standing Stone: Loughmore (Tinvoher), Church, Co. Tipperary. 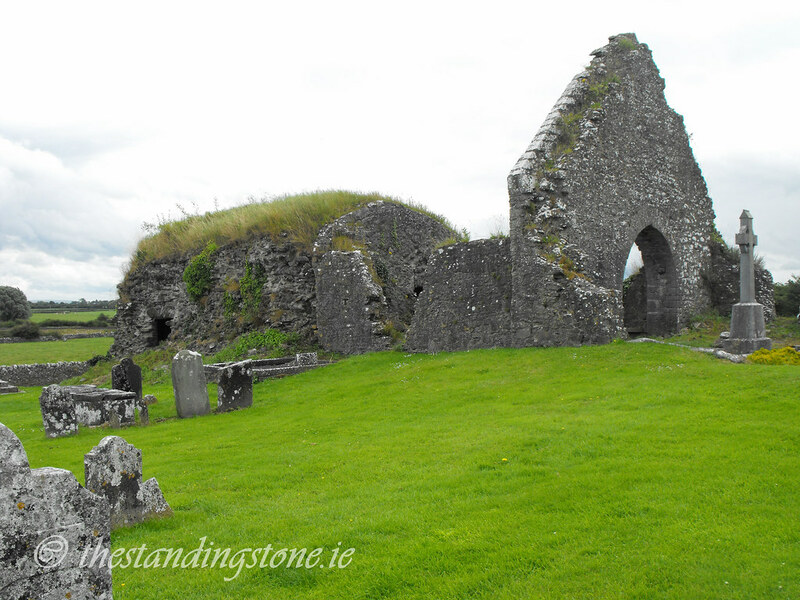 Loughmore (Tinvoher), Church, Co. Tipperary. 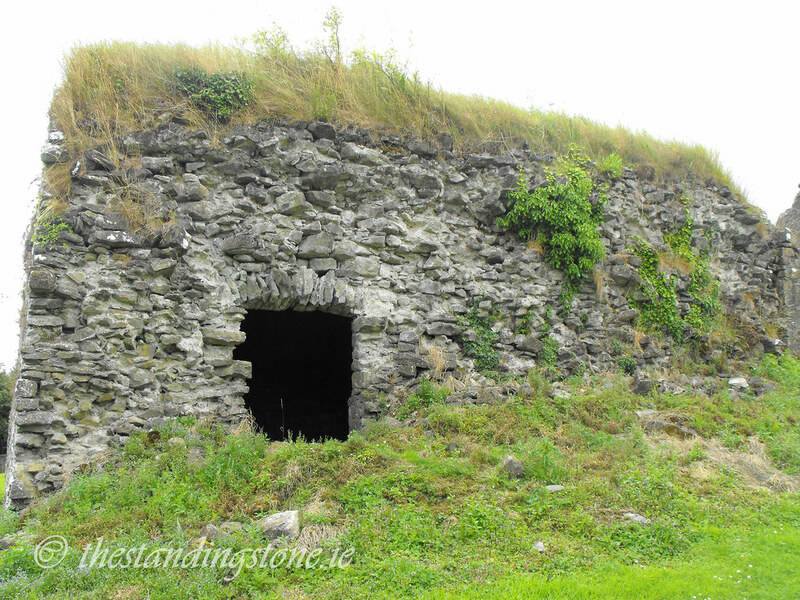 Location – Located in the village of Loughmore just off the N62. 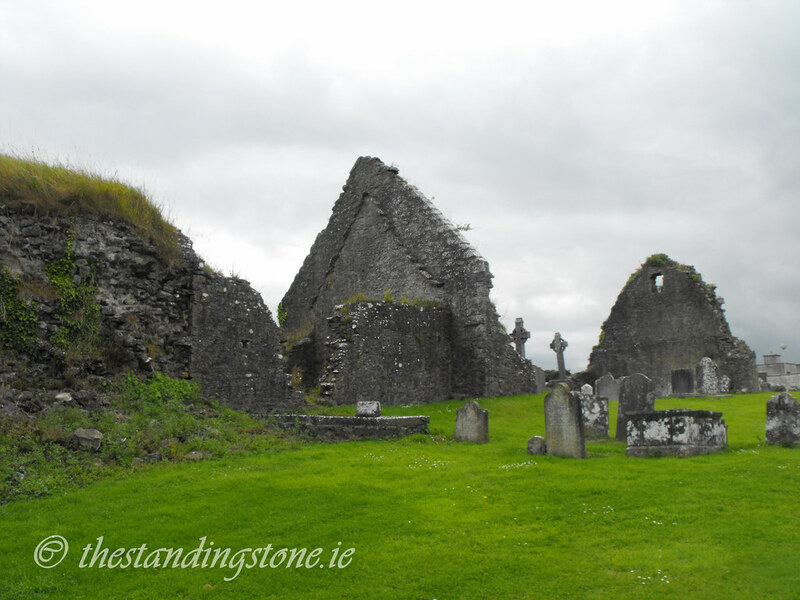 Description and History – Remains of a church and accompanying tower dating to the 14th century survive here. The site appears to have been constantly reworked as many features consistent with a 16th or 17th century date can be seen. 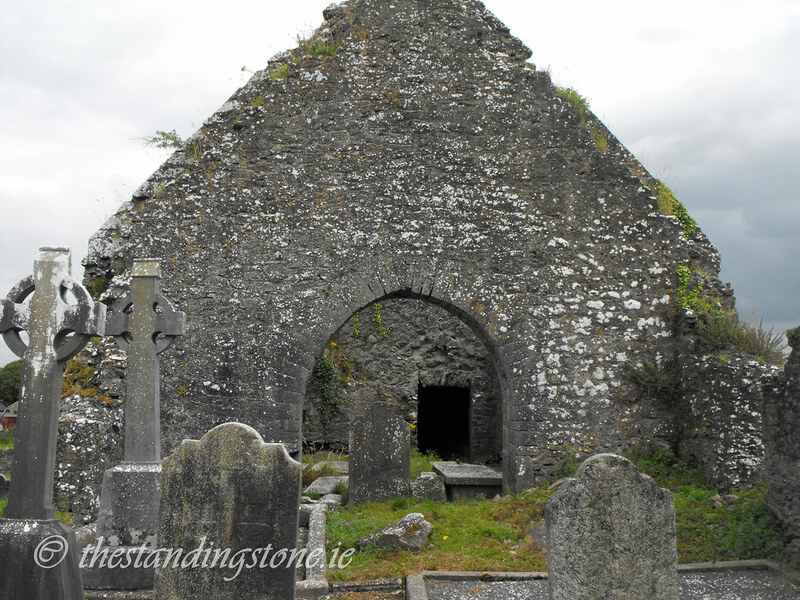 Little remains of church apart from the two gable ends, forming the nave which leads to the chancel. 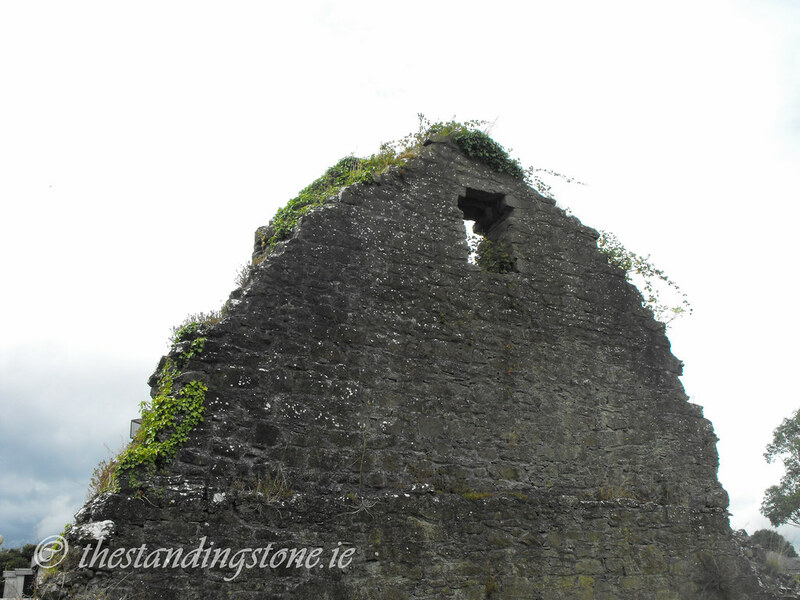 The N and S walls of the church only survive as wall footings. The most impressive part of this site is the tower which now only stands one floor high. Whereas most of this site has been lost the barrel vault of this tower has survived and is still in good condition. 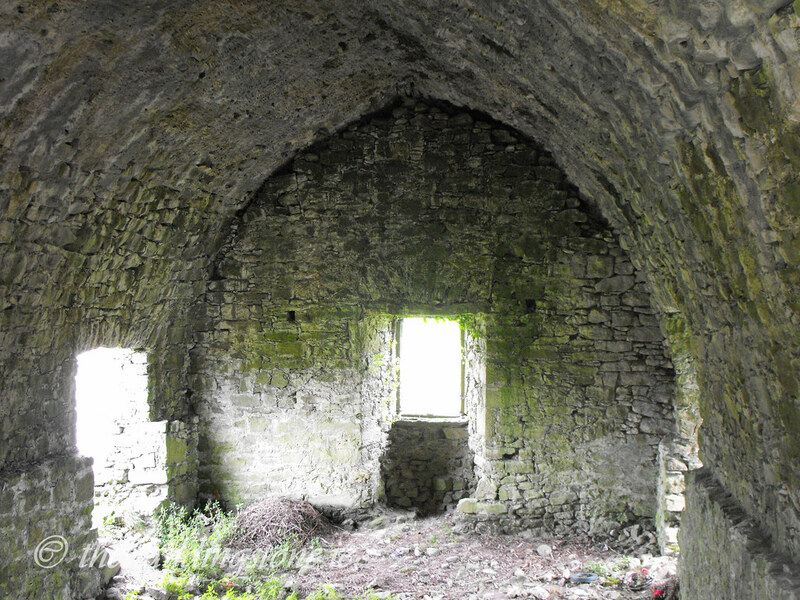 Surviving barrel vaults are quite rare – especially at ecclesiastical sites. The barrel vaulting in the nearby castle also survives. There are also good views of the castle from the church site as well. Difficulty – Easy to find and traverse. 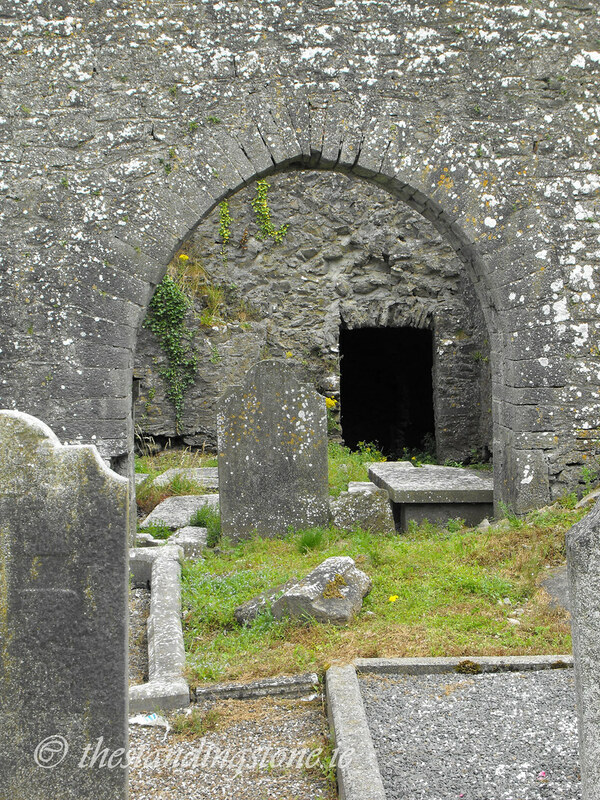 Access is through the modern church yard. 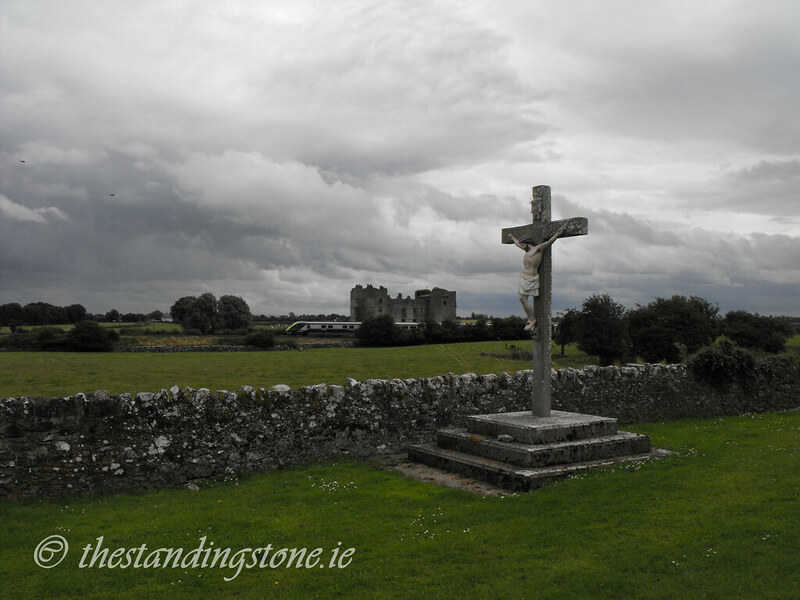 View of Loughmoe castle from the graveyard.